Arsenal’s Mesut Ozil announced on Monday that he has retired from international football with Germany amid claims of racism from the German FA, extremely controversial allegations which the governing body have subsequently disregarded, despite expressing their ‘regret’ in the 29-year-old’s bold decision. Ozil, a third generation Turkish-German born in the suburbs of Gelsenkirchen, believed that the German FA – or DFB – wanted him ‘out of the team’ prior the start of the 2018 World Cup after being photographed with Turkish president Recep Tayyip Erdogan, a meet and greet which sparked outrage amongst the German people and media. The troubled playmaker has since revealed that his family were also targeted with hate mail and threatening phone calls as well as abuse on social media as part of the shameful backlash. Ozil, upon his decision to turn his back on Die Mannschaft, released a statement (via Daily Mail) which told of how he feels betrayed and ‘disrespected’ by the national set-up, a collective which he had formally earned 92 caps with and the 2014 World Cup, most notably. ‘The treatment I have received from the DFB (German Football Association) and many others makes me no longer want to wear the German national team shirt.’ He expressed. ‘I feel unwanted and think that what I have achieved since my international debut in 2009 has been forgotten. ‘I will no longer be playing for Germany at international level whilst I have this feeling of racism and disrespect. I used to wear the German shirt with such pride and excitement, but now I don’t. ‘When high-ranking DFB officials treat me as they did, disrespect my Turkish roots and selfishly turn me into political propaganda, then enough is enough. ‘The DFB stands for diversity, from the representatives at the top to the countless, day-by-day dedicated people at the base. Ozil is currently on a pre-season tour of Singapore with his Gunners teammates, who have shown their support in the pressing matter by standing in defiance with the intricate, yet understandably anguished, midfield metronome. 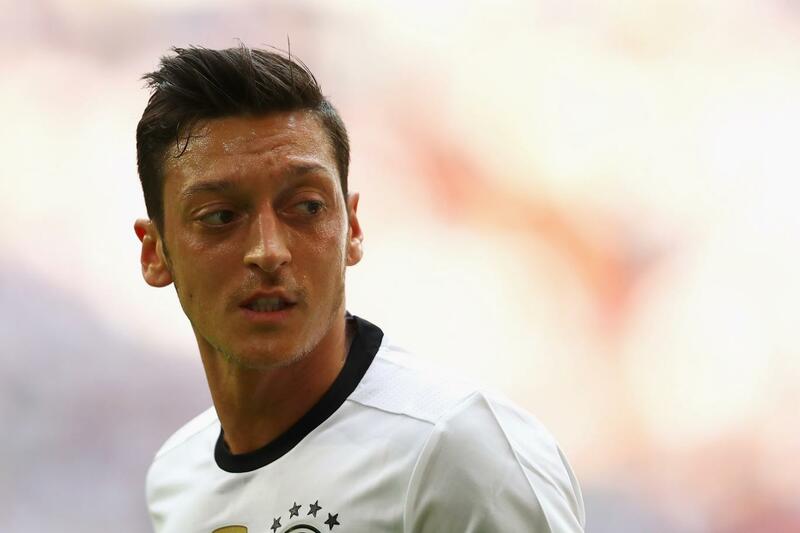 Share the post "German FA ‘regrets’ Mesut Ozil’s decision to retire from international football amid racism claims"